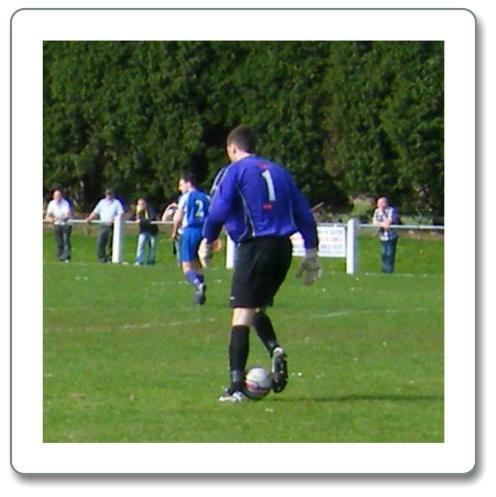 Website designed and maintained by Website4u 9.4.11 Oakley 1 Penicuik 4 3rd Round Fife & Lothians Cup Penicuik Athletic: Bald, Leighfield, McDermott, Meikle, McKay, Barr, Smith, Gay, Harvey, Millar and Killin. Subs: Lockhart, Brigain, Riley, Walker and Gallagher Referee: Scott Lambie Penicuik travelled to Blairwood Park looking for a hat trick of wins over Fife clubs in the Fife and Lothians cup this season after beating Steelend Victoria and Lochgelly Albert in the first two rounds. Oakley, who have lost only once all season at home qualified for the third round following a first round bye with a home victory over Super League side Camelon Juniors. Last Saturday, Penicuik went down at Broxburn without scoring a goal while Oakley rattled in ten without reply against Luncarty to extend their lead in the promotion race at the top of the Central League. Millar replaced Brigain up front while Riley dropped out giving Smith his first start after joining the club recently from Bellshill. Oakley almost took the lead in the second minute when a Dodds header hit the inside of the post and was clawed away by a relieved Bald. Oakley were slightly on top winning several free kicks and a Sinclair header from a Dair corner went wide of the goals. A Dair free kick from distance went past the post before a quick Blackadder free kick was too much for his team mates and the ball rolled harmlessly out. 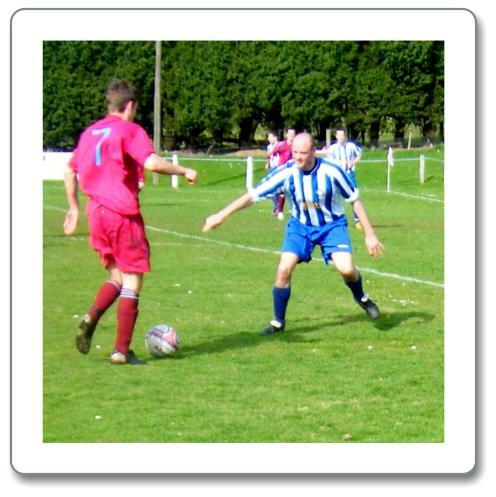 In reply, Harvey was pulled up for off side from a Gay pass in Penicuik’s next attack. Strong play down the right by Smith created space for Millar but his drive from the edge of the box was blocked. The rebound fell to Gay and his drive was blocked only to land at Barr’s feet. His parting shot was also blocked in the crowded penalty area as Oakley held out. Play swung to the other end and Scarborough headed a Dair cross over the bar. With twenty minutes gone Millar and Killin combined to set HARVEY free and he coolly slotted the ball past Park in the home goal to give Penicuik the lead despite loud appeals for off side. Oakley came up with the perfect response three minutes later. Yet another long clearance from defence was headed down by Ritchie into the path of BLACKADDER who fairly belted a left foot drive from the edge of the box past Bald to equalise. Five minutes later Blackadder had another opportunity but this time his drive from the edge of the box was blocked. Oakley who were appealing to the referee at every opportunity were awarded another free kick when Smith was penalised but Dair’s right foot drive went wide. Play was swinging from end to end with both teams competing fiercely for supremacy. Harvey and Millar backed up by Killin were not letting the home defence settle while Meikle and McKay were proving to be resolute in Penicuik’s defence With half an hour gone the hard working Smith released McDermott up the left but his parting cross dropped just over the bar. In a quick Oakley attack, Scarborough was unlucky to see a cute lob hit the top of the bar and go over. McKay was cautioned for adopting a threatening attitude when he clashed out on the touchline with McDowell as Penicuik refused to be intimidated. Leighfield was then cautioned when Dair went rolling over but again his free kick came to nothing as it was blocked by the defence. Oakley suffered a blow after 34 minutes when goal scorer, Blackadder had to leave the field injured to be replaced by Rushford. Oakley were continuing to bypass the midfield and almost caught Penicuik out but Bald safely held McDowell’s close in shot. As half time approached, Park safely held a Gay corner kick following more forcing work by Millar. At the other end, another Dair corner was headed past by Sinclair. A long Conners free kick was headed back across goal with no takers. The half finished all square after a Killin run won a corner which was quickly cleared. Half Time: Oakley United 1 v 1 Penicuik Athletic The home team tried to grab the initiative right away but McDermott blocked McDowell’s effort. Meikle headed the resultant corner kick clear. Keith Barr had a shot for Penicuik but it was deflected for a corner which Gay sent over the top of everybody waiting in the middle. Killin headed on a Barr pass and Harvey could only manage to hook the ball over the bar. McDermott was the third booking of the match for a foul on McDowell who was leaving the referee in no doubt about his view of the matter. With twelve minutes gone Oakley’s goal had a narrow escape as Killin in the six yard box headed Barr’s chip down but the ball bounced up over the cross bar. 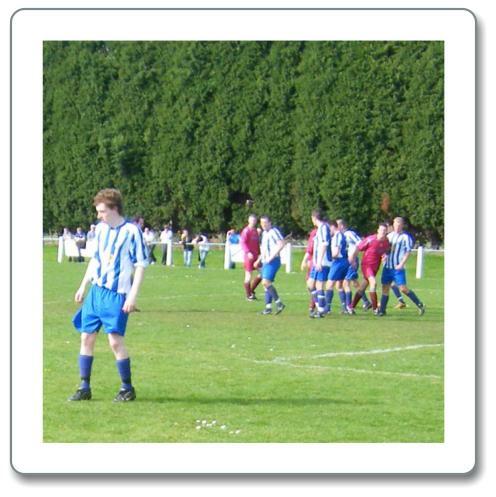 In the fifty eighth minute, Gay was the next Penicuik player to be booked for a foul. 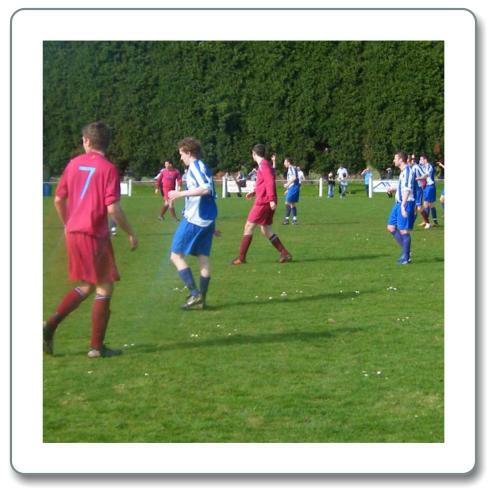 Penicuik were playing well and Ryan Gay saw Park deal easily with a low free kick round the defensive wall. Two minutes later a McDermott free kick found Killin in space. Millar again won the ariel duel for the cross but his glancing header went wide of the goals. Oakley pulled Dair off with Fyfe coming on and shortly afterwards created their best chance of the half so far. Good play by Scarborough, who got few opportunities from Meikle and McKay opened space for McDowell. Bald was a spectator in the visitor’s goal as McDowell’s powerful drive went narrowly past the post. Ironic cheers were heard coming from the visiting spectators when Cusick became the first home player to be booked when he brought Harvey down. Harvey headed Gay’s free kick high and wide. 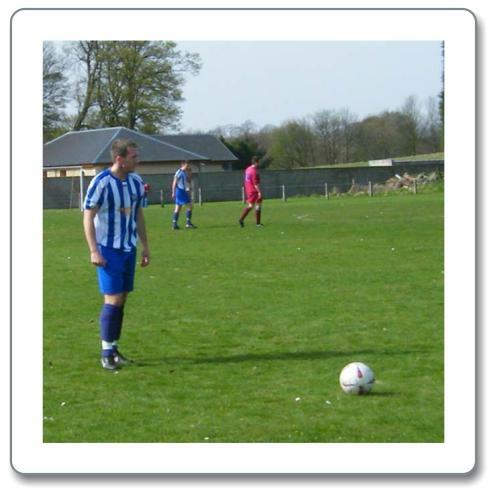 In the seventy third minute Gay was given a second yellow card after a clumsy trip as Oakley cleared a Penicuik attack. Penicuik left Millar and Harvey together up front but made light of their reduced numbers in midfield as they refused to buckle. Oakley did not appear to be making use of their numerical superiority and Conners was booked for a foul on Killin who had been troubling the home defence all afternoon. McKay’s looping header from the free kick was pushed out for a corner by Park. MILLAR headed the resultant corner kick into the back of the net to break the deadlock. Oakley came right back and in the seventy sixth minute Bald pulled off a good save from a Scarborough header. Smith needed treatment after an injury but it was Leighfield who had to go off following a knock, replaced by Brigain. With seven minutes left a terrific run by Rushford almost produced the equaliser but the ball seemed to hit McDowell’s shin as he tried to hit the target and his effort ballooned over the bar. McKay, who had taken some hard knocks needed treatment and finally, the referee ran out of patience with McDowell’s opinions, booking him for complaining about how long the delay was taking. 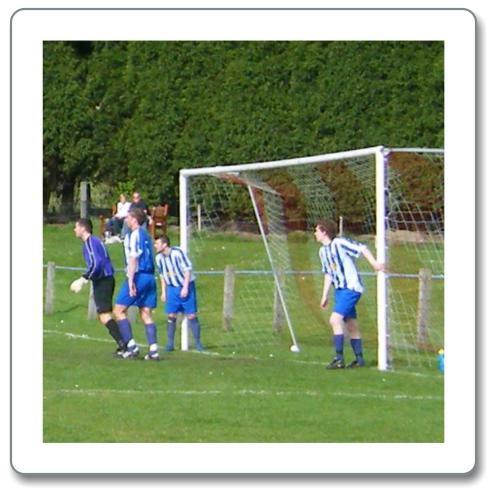 As the game went into the last five minutes, Penicuik were in control and Millar headed another corner over the bar. With three minutes remaining Brigain set off on a run cutting in from the right and won a penalty when he was brought down by Conners who received his second yellow card, leaving both teams with ten men. BRIGAIN sent the goalkeeper the wrong way as he rolled the ball into the corner of the net. McDermott who had picked up a knock was replaced by Walker returning after being out with injury for several months. Oakley were clearly rattled and Penicuik added a fourth a minute into added time. McKay won the ball and found MILLAR in the middle. Park and Sinclair hesitated and the Penicuik man nipped in between them to send a header into the back of the net for his well earned second goal of the game. Rennie came on for Ritchie in the home ranks and almost immediately earned a booking for a late challenge on Walker, who thankfully was able to get up and continue. Joint manager Bryan Ryrie was delighted after the match with the fighting display and added that the team have to carry this form into their remaining league matches. Penicuik now have to travel to meet the winners of the outstanding tie between fellow Premier League teams, Armadale and Glenrothes. My thanks to John Fraser for the match report and photos Oakley United: Park, Lumsden, Conners, Cusick, Sinclair, Ritchie, Dodds, McDowell, Scarborough, Blackadder and Dair. Subs; Rushford, Fyfe, Rennie an Bower.